Keeping a few hens at home to provide the family with fresh eggs won’t take a lot of your time and with a bit of thought it needn’t take a lot of your money to get started either. As with any hobby, you can spend a fortune on every gadget and gizmo going but there’s really no need to. Networking with other poultry keepers offers you opportunities to find low cost or cheap hens and housing. Sometimes people will reduce the size of their flock and literally give away unwanted birds. Don’t get pushed into taking a cockerel though, you don’t need one and it’s only an unproductive mouth to feed. You may find a farmer willing to sell you them direct but most often they’re bought via charities. With ex-caged hens be prepared for them looking to be in awful condition with feathers missing, sometimes practically bald. Usually, within a month or two, they look totally different and obviously are enjoying a new lease of life as hens free to roam and enjoy life. They’ll continue to lay for you for a couple of years and after that, well unless you’re tougher than me, you’ll have an OAP pet for a couple more years. 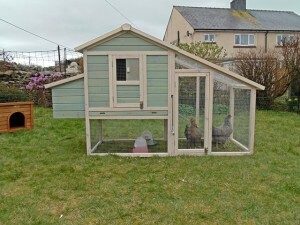 Low Cost Housing For Your Hens – Cheap Chicken Coops! 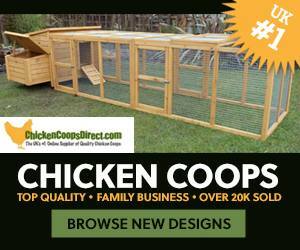 The choice of chicken coops available is bewildering and there’s a huge range of prices. However, if you’re handy with hammer and saw, you can build yourself a high-quality chicken coop and save money on buying a cheap ready-made hen house. Another option is to modify a shed by adding some perching rails and a nestbox. A friend of mine found it cheaper to buy a shed from a big DIY store and convert it to a henhouse rather than buy a purpose made house for his flock of 20 birds. Being a frugal sort, he converted cardboard boxes to make nesting boxes until he collected enough pallet wood to build a purpose made nestbox. 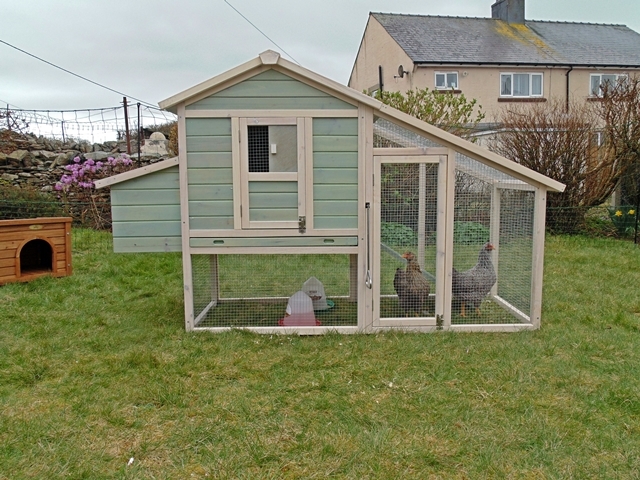 Another option you can consider is to buy a rabbit hutch and convert that, ideal for bantams. It’s worth keeping an eye open for a second hand rabbit hutch but I wouldn’t advise a second-hand chicken coop because of the risk of bringing parasites like red mite home with it. There is an exception to this, the plastic chicken coops are (if in good condition) worth buying second hand. Before you trust your hens to them, give them a thorough wash using detergent. A jet wash will get into every nook and crevice. Then disinfect and leave for a week to allow any residual traces to go. Spray again and it’s ready to go.